Imagine driving across the Italian countryside on a warm sunny day with the roof down. A beautiful co-driver next to you and the sound of many rare and interesting classic sports car around you. That’s my romanticised image of the Mille Miglia road race. It’s something I want to do before I die, ideally in a Mercedes 300SL Roadster. 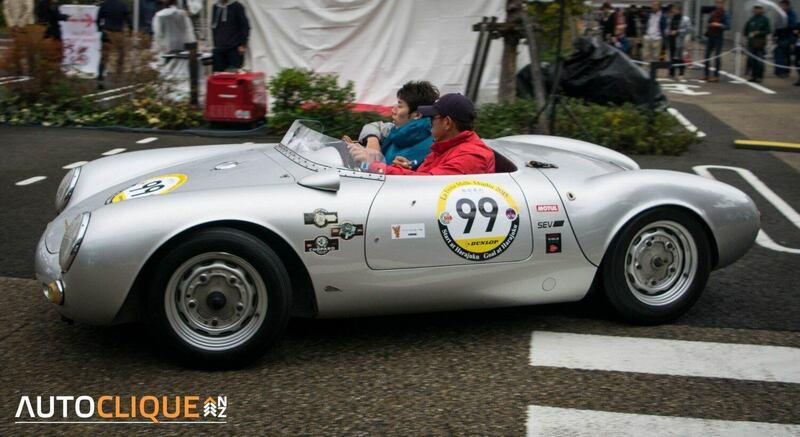 So when I went to the 2015 La Festa Mille Miglia, Japan’s homage to the legendary Italian road race/classic car rally, I was a bit disappointed that it was wet and cold on the first day. The event kicked off on Friday at Harajuku, a famous shopping district in Tokyo. Not the first place you’d expect to start something like this but then again there are lots of spectators there. I waited at the Daikanyama T-Site, you’ll be familiar with this if you’ve been following this Tokyo Drifter series as car meets are held there every second Sunday of the month. This was the first stop of the LFMM and so I thought it’d be a good place to see all the cars drive past. Harajuku is a lovely place but the crowds there would’ve made it hard to get a good shot of most of the 150+ cars taking part. 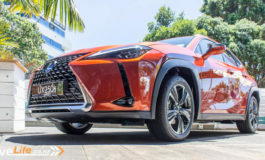 Rather unsurprisingly, since this event was limited to cars made between 1919 to 1967 and long before reliability was invented, a few cars that never made it to the first checkpoint. One of these was a 1950 Ferrari 195 Inter Touring Berlinetta. That ended up on the side of the road not far from the starting line in a cloud of smoke. Luckily there were a few modern cars too, as support vehicles. 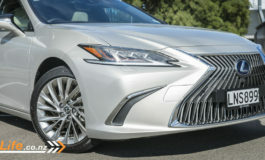 Most were the usual cars you’d expect, Toyota Crown and the sort. There was a new Bentley Flying Spur and Porsche 911 Targa GTS too. 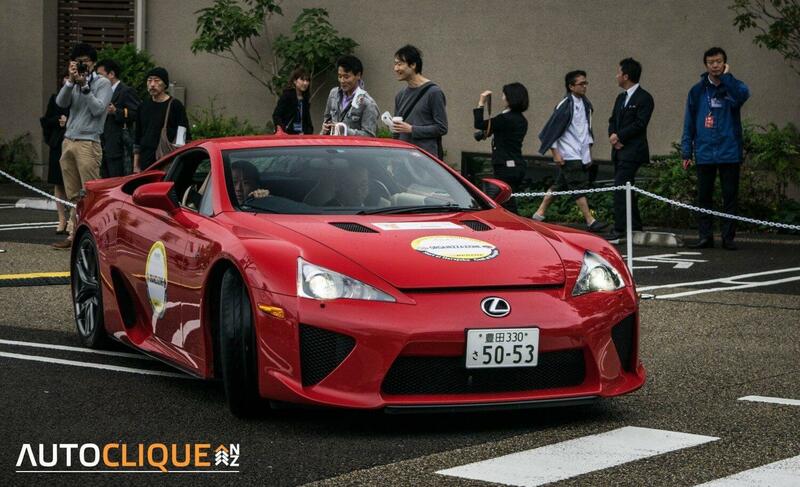 But the car that led the pack was by far the best – a red Lexus LFA. Whoever was driving that definitely got the best deal. Imagine driving that around the 1200km route for the LFMM event. That would be, for lack of a better word, epic. The LFMM is now on its 19th year, the inaugural event was held in 1997. Since then the event has grown significantly, even attracting international participants. Some of the foreign teams includes many from Italy, the United States, Germany, United Kingdom, Australia, Belgium, France, Netherlands, Singapore, Chile, Romania, Luxembourg, Sweden, and even a couple of Kiwis. 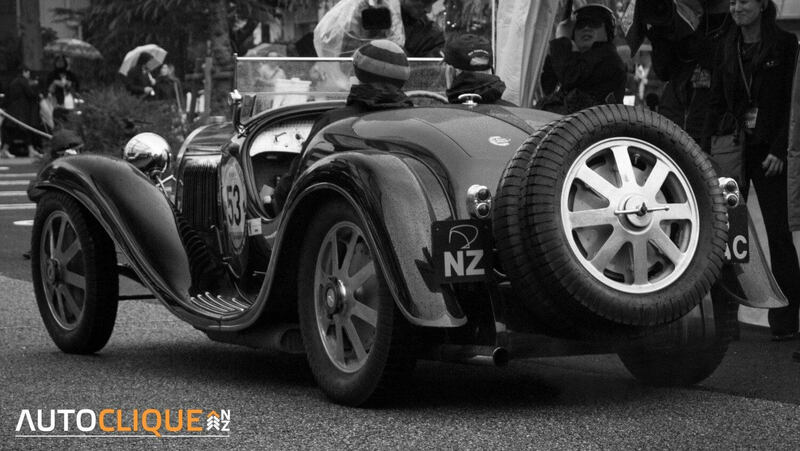 Seeing the #36 Bugatti T44 with the personalised “Bugatti” NZ plate was one of the highlights for me. 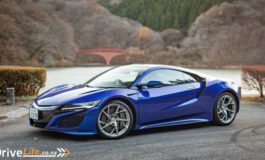 Most of the cars came in chronological order, so as they drove past in their groups it was like watching an evolution of car design over the span of four decades. It was an experience to say the least. I did feel like I was transported back in time somehow, apart from all the iPhones and cameras around me of course. It was also great to see the enthusiasm of the spectators at the Daikanyama T-Site. Despite the weather, it was smiles all around with people cheerfully waving ‘La Festa Mille Miglia’ flags arounds. I hope this event keeps going in the future as I’d love to be able to take part somehow. It’d be an ideal stepping stone before the actual Mille Miglia rally in Italy. 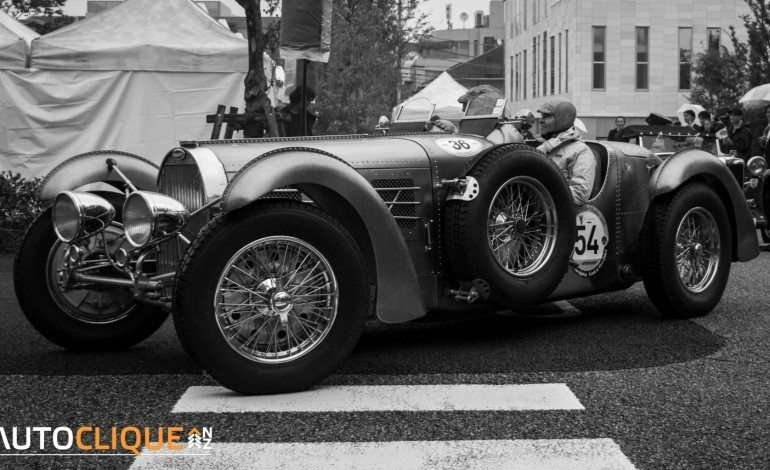 Oh, and if anyone knows John Van Deventer and Eja Van Diverter Woessink in the #36 Bugatti T44 or Lionel and Mary Rogers in the #53 Bugatti T55, get them to contact us. 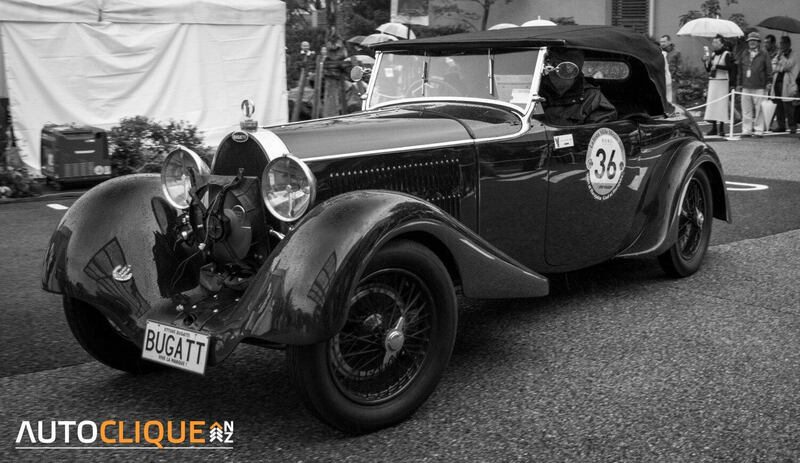 We’d love to hear about their experiences on the La Festa Mille Miglia.